NCPA’s production of Le Nozze di Figaro (The Marriage of Figaro) shines a new light on one of the most famous operas created by W. A. Mozart in 1786 during the summit of his composing life: It combines traditional Western elements with an outstanding Chinese cast. Stage director José Luis Castro from Seville – where the story happens – embeds the opera in the traditional setting of his hometown. The NCPA Orchestra and Chorus, under the baton of their music director Lü Jia, bring the music to life in a fresh contemporary interpretation that lays the ground for the excellent lead soloists. Le Nozze di Figaro once more shows that the NCPA is a venue of choice for opera lovers in the Chinese capital and well beyond. Available worldwide apart from Mainland China, Hong Kong, Taiwan, Macau. 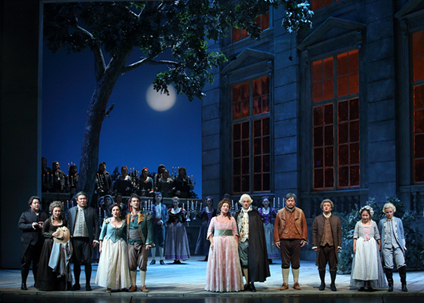 Bonus: The making of "Le nozze di Figaro"